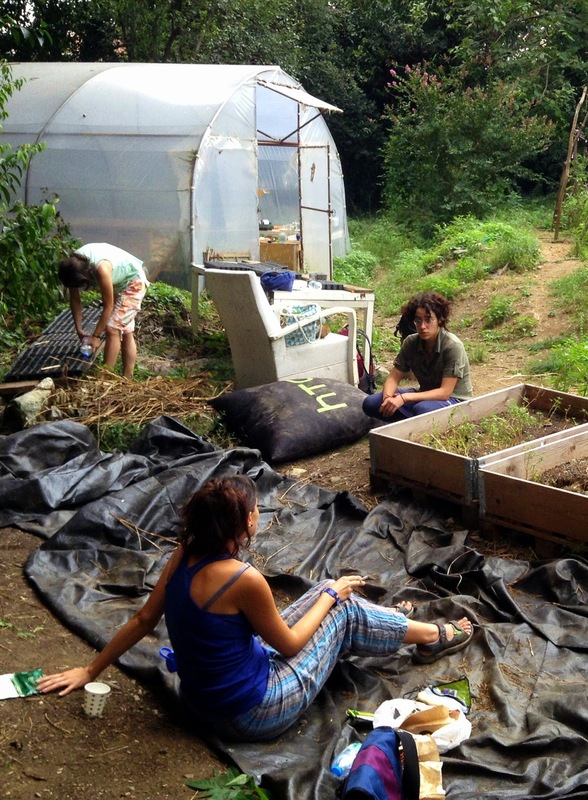 Seeds of hope for Istanbul's urban agriculture? Looking out across today's concrete-covered expanses, it's hard to imagine that Istanbul was once a city of gardens -- and not all that long ago, either. In Ottoman times, according to researcher Aleksandar Sopov, there were bostan (market gardens) all along the ridge passing through Istanbul's old city, many associated with that area's large mosques, and fed by water from the Valens Aqueduct. As recently as 1900, Istanbul was home to more than 1,200 bostan covering as many as 12 square kilometers. Highly productive and tended with sustainable techniques passed down through generations, many of these gardens continued providing food for the local population until mass urbanization kicked off in the 1960s and 1970s. These days, only a scant few bostan remain in the city. The extensive gardens at the base of the old city walls are under threat from development, as I wrote last summer for The Atlantic's CityLab. 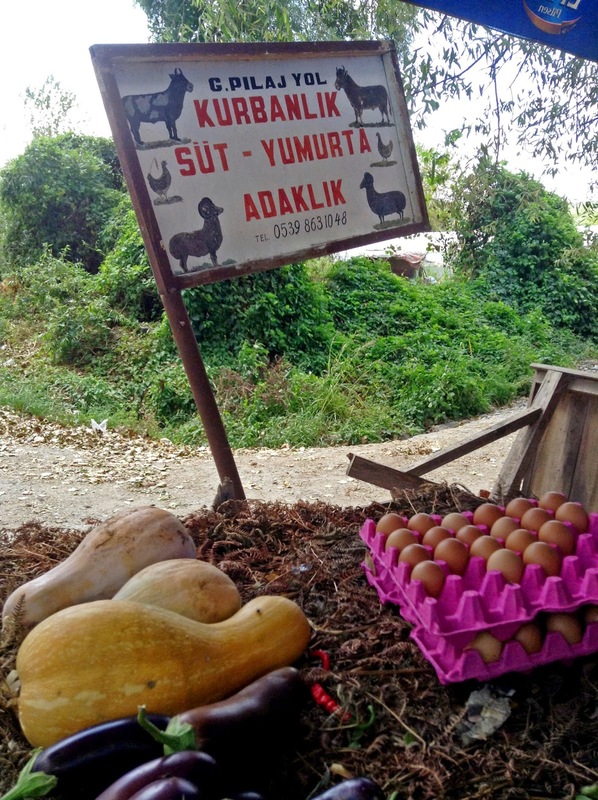 Now, so too is the farmland in Gümüşdere, on Istanbul's Black Sea coast and close to the path of the third bridge being built over the Bosphorus Strait. But the rapid transformation of the city has also sparked a movement to plant new gardens as a form of resistance, with community-based groups of volunteers taking over empty lots and trying to revive urban food-growing. This article was originally published on Zester Daily (RIP) on 10 October 2014. The purple skin of the Kavak fig is so thin that the fruit can be eaten whole, without peeling – and so fragile that it cannot be transported long distances. One of the few places this Istanbul delicacy is grown is a small market garden (known as a bostan in Turkish) in Rümeli Kavağı, a windswept waterfront settlement near where the Bosphorus Strait opens out into the Black Sea. “It’s probably the last historical bostan along the Bosphorus, just 100 meters from the water. It’s registered as green space, but threatened with development because of the third Bosphorus bridge being built nearby,” explains Aleksandar Sopov, a Harvard University Ph.D. candidate in history and Middle Eastern studies who is researching Istanbul’s Ottoman-era agriculture. Fruits and vegetables were once widely grown within city limits, with many neighborhoods becoming well known for their specialty produce. Istanbul old-timers still wax poetic about the flavorful romaine lettuce of Yedikule, near the Byzantine city walls; the fragrant strawberries grown in the Bosphorus village of Arnavutköy; and the cucumbers from Çengelköy, along the Asian side of the strait, and from Langa, now part of the gritty central-city Aksaray neighborhood. As recently as 1900, historical sources indicate, Istanbul was home to more than 1,200 market gardens covering as many as 12 square kilometers. Today, most have been plowed under and paved over – and most of those that remain face the threat of a similar fate. But the wheels of urbanization and development that began churning vigorously in the 1970s and 1980s have more recently also spurred a grass-roots resurgence in urban food growing. The Tarlataban garden in the Rümeli Hisarı neighborhood was among the first in this new wave. A small group of volunteers tends the Tarlataban garden each week using techniques derived from the environmentally friendly practice of permaculture. Learning as they go, they have recently been sharing the knowledge they have acquired with students from other local universities who want to start similar projects on their campuses. Istanbul’s new urban-gardening movement got a dramatic boost last year, when mass protests broke out in response to the threatened destruction of a centrally located green space to make way for a shopping mall. During the week or so that demonstrators occupied Gezi Park, some of them planted a small vegetable garden along its northern edge. After the park was cleared by police, similar gardens began to pop up around the city. “Many places were cultivated after Gezi – empty plots of land owned by city municipalities and often threatened by development,” Sopov says. Across the water, on the Asian side of the city, residents of the Kadıköy district have rallied, so far successfully, to keep their postage-stamp-sized Moda Gezi Bostan from being covered with asphalt for a parking lot. “It’s all totally free – people plant and take whatever they want,” says a local who ambles up to chat with a visitor. Small in scale and tended by hobbyists, these community plots can’t make up for the destruction of the historical bostan whose gardeners passed down a lifetime of knowledge from one generation to the next and fed the city for so many years with the produce they grew to sell at local markets. But the Tarlataban garden’s Ercan and others hope they might just be able to point Istanbul in a new direction.